Blowout Sale! 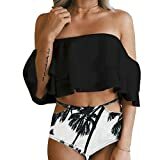 Up to 67% off on Swimsuits & Cover Ups at Kollaboration Chicago. Top brands include Shoshanna, luvamia, Seafolly, Ebetterr, Mossimo, MILLY, Tempt Me, Eternatastic, Septangle, Miraclesuit, GYM HEROES, Hilor, Wavely, Anne Cole, Robin Piccone, & Gabrielle-Aug. Hurry! Limited time offers. Offers valid only while supplies last.